Today’s business thrives on breaking down silos and fostering teamwork to achieve business success. Collaboration technologies within buildings and across continents can empower organizations to think outside the box. IMS supports collaboration with shared workstations with embedded video platforms, web casting, wireless collaboration, and Video Over IP. We create the video conferencing systems and solutions that allow for connected operations, distributed presentations, and multisite interaction. Collaboration reduces travel time for employees, enhances access to senior level thought leaders, and can integrate not just voice and video but desktop content as well as live streamed data from any source. IMS offers a range of standard but customizable table and conference configurations that provide for rapid installation, integration, and evolution as needs change. 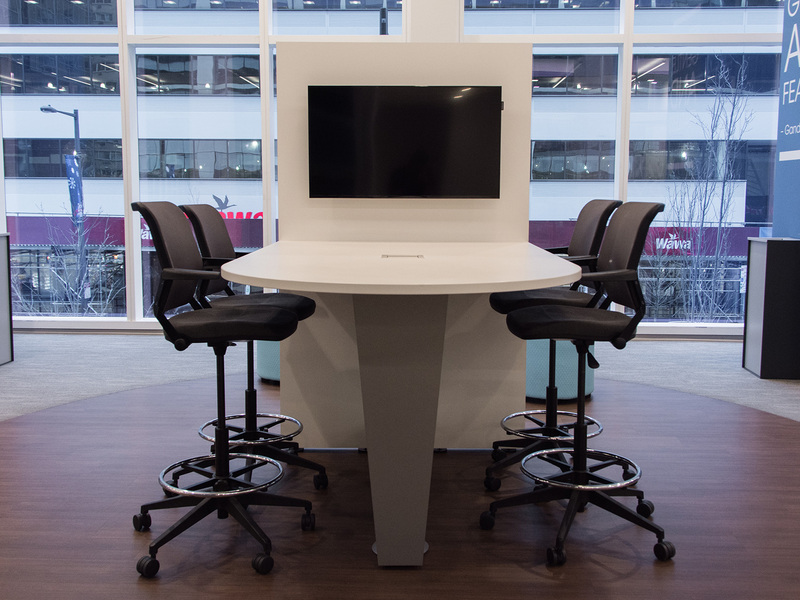 Each collaboration station is available in a variety of finishes to match existing décor and come fully equipped with electronics, connections, controls, and seating for anywhere from 4 -20 participants. Totally custom solutions are available as well, but nothing sets up faster or gets people working together than a collaboration station from IMS. Tell us about your project and an IMS team member will contact you. We help enhance business communication by integrating simple to use solutions in flexible work spaces that positively impact our client’s bottom line. We do this by fostering interaction, collaboration, improved training, and professional development through the effective utilization of AV and IT technologies. Your greatest asset is you’re Employees; we listen and understand your business objectives and design solutions that empower your employees by enhancing business communication while being mindful of your budget. Having well-trained and educated employees is the first step in creating a healthy business model and IMS can help by creating the right environment for effective and lasting employee training and professional development. We promote interaction and collaboration among local, national and international teams through unified communications that include various AV and IT solutions. 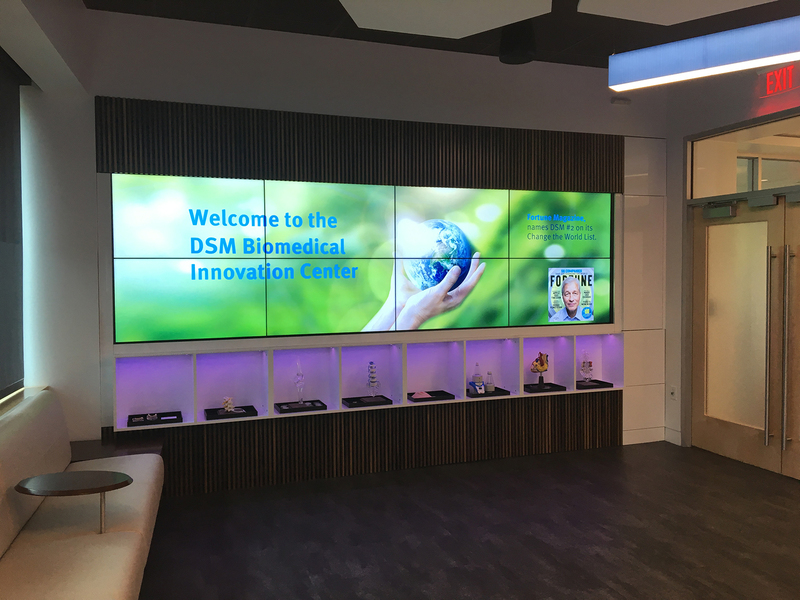 We can also design and install digital signage solutions that leverage common spaces to create communication centers of business and critical messaging that share important business goals, accomplishments, and metrics. IMS provides a wealth of solutions for institutions of higher learning. From community and local colleges to some of the largest universities, we’ve integrated technology solutions that improve pedagogy. Our consultative approach begins with evaluating and understanding each educational institution’s unique technical and organizational goals to then develop a custom-designed solution, utilizing only proven and reliable technologies to achieve the results you expect and require, including but not limited to: driving student engagement and performance, minimizing downtime and emphasizing ease-of-use. This thorough approach to projects, coupled with our investments in certified system programmers, certified installation technicians and account managers, is what ensures the level of quality and system performance required in an educational setting. Our consultative approach begins with evaluating and understanding each educational institution’s unique technical and organizational goals to then develop a custom-designed solution, utilizing only proven and reliable technologies to achieve the results you expect and require, including but not limited to: driving student engagement and performance, minimizing downtime and emphasizing ease-of-use. 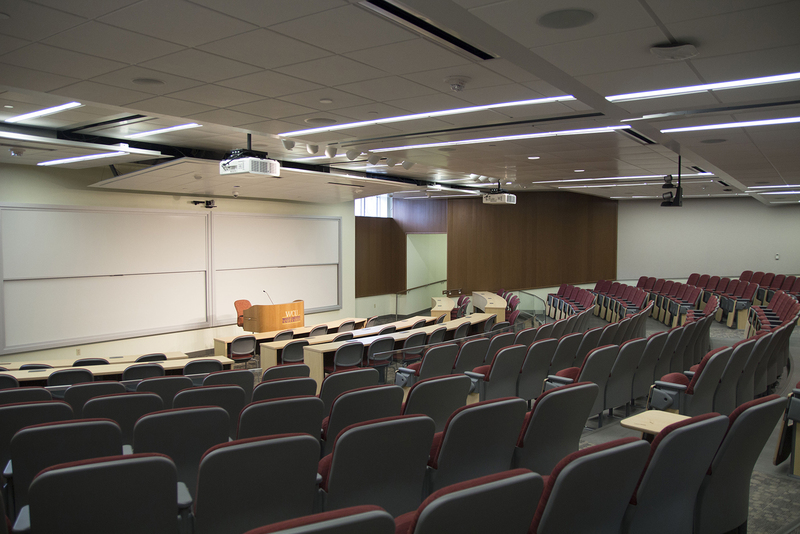 We specialize in working with individual schools, districts and other institutions of learning to implement technology solutions, like video based systems that enhance pedagogy and the installation of interactive displays in single classrooms to full systems in larger auditoriums. We use only proven and reliable products from JBL, Panasonic, and collaborative technology to maximize your budget for the project as well as professionally guiding you through the use and maintenance of all the elements, allowing for a smooth and stress-free transition to high-tech teaching. As technology is only as effective as its users, IMS provides thorough training and professional development to ensure that instructors and users fully understand how to apply a system’s capabilities to improve information retention and create the ideal learning environment. We also specialize in developing solutions that bridge the gap in distance learning. We can work with you to customize solutions that connect students and teachers to other classrooms, subject matter experts and remote resources that enrich instruction. Our emphasis on quality ensures that both synchronous or asynchronous learning experiences engage students and encourage participation, regardless of the distance between endpoints. IMS has a keen understanding of how leading Pharmaceutical companies deliver key messages and their value propositions to their customers. The industry understands the power of AV systems for collaborative meetings and evolving marketing best practices. Let IMS show how we can help your organization harness today’s AV technologies to communicate both internally and to reach your key market customers and prospects. For new drug or device or product launches, trade show or conference presentations, sales force training or meetings, and more, IMS can help you communicate effectively, economically, and flawlessly. From trade show presentations and corporate events that floor the competition and the trade press, to international collaboration infrastructure that improves productivity, IMS supports manufacturers in a variety of industries. We design and build the AV systems and AV infrastructure that can connect multiple locations, offices, and even sales reps in the field. When you mean business, IMS can help you achieve success. IMS understands the value and importance of partnering with Healthcare providers and hospitals. From a local community hospital, to a large teaching facility, the IMS team has the expertise and knowledge to design and install the appropriate technology. Our team will work with your facilities, IT, design, and clinical staff to deliver the appropriate technology with a unified goal of improving patient care. We can design and install the latest digital signage, way finding, and life safety paging systems, to conferencing and telemedicine solutions. IMS understands the tremendous challenges our healthcare professionals meet every day and we offer support by delivering intuitive, productive systems to enhance communication and collaboration across your teams, organizations, and physician groups. Law firms and organizations within the legal profession are constantly looking for innovative ways to increase revenue and retain clients while maintaining a competitive bottom line. Audio visual technologies such as conferencing, presentation systems, and collaboration workspaces enable firms to accomplish their business objectives more effectively. Whether it is videoconferencing with outlying offices, capturing depositions, or accessing expert witnesses worldwide – video has truly transformed the legal marketplace. By quickly accessing information and personnel, firms have quickly seen a large return on investment in videoconferencing solutions. Combining video with effective presentation technology has allowed the firms that IMS has worked with to effectively convey messaging as well as engaging associates and clients. Lastly, collaboration workspaces have truly changed how both employees and clients work together towards a common goal. 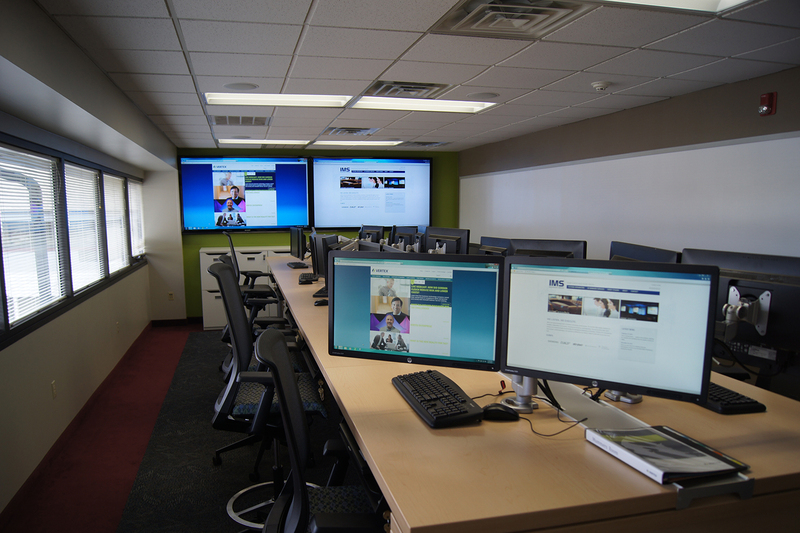 From interactive whiteboards to collaboration tables, employees are able to access and share information. The financial sector can greatly benefit from an updated AV infrastructure to assimilate to today’s well-equipped business environment. From lobbies that display capabilities via digital signage solutions to communication infrastructures that facilitate off-site and real-time collaboration, IMS understands the opportunity to meet the needs of the market through technology solutions that promote inclusion. We’ll leverage your resources to create dynamic AV solutions that can grow with your business and adapt to evolving standards. For our clients in the architecture and engineering industries, IMS is an invaluable partner for integrated communications and presentation systems. Our dedicated team specializes helping architects and engineers design, procure and install state-of-the-art technology solutions for their clients. We have the ability to work directly with you during the planning stages of a project or customize a solution into an existing blueprint. 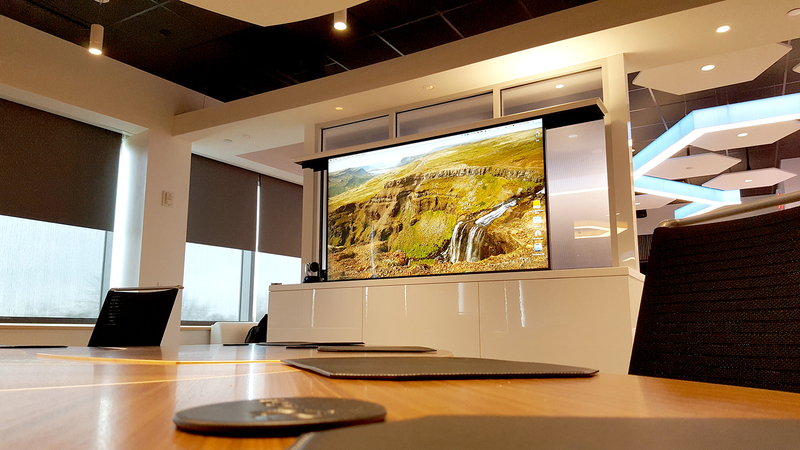 Our video conferencing systems are top-of-the-line and we are skilled at seamlessly integrating screens, projectors, and sound systems into any existing room architecture. 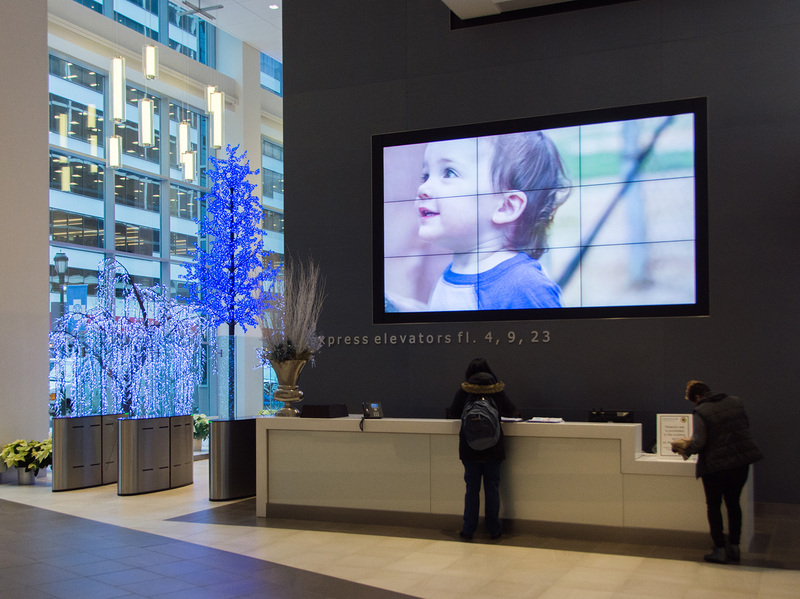 From hi-tech displays in high traffic areas, connected conference rooms and digital signage in in lobbies and greeting areas, IMS has the knowledge, experience and reputation to meet the demanding technology needs of your clients. We have deep construction management expertise and are experienced with CD’s ( construction drawings). Having experience working directly with facilities management company CBRE, IMS is a proven technology partner for Real Estate Management companies. As a Tier one, high-quality provider, IMS can provide your properties with the technology solutions that meet your specific needs. 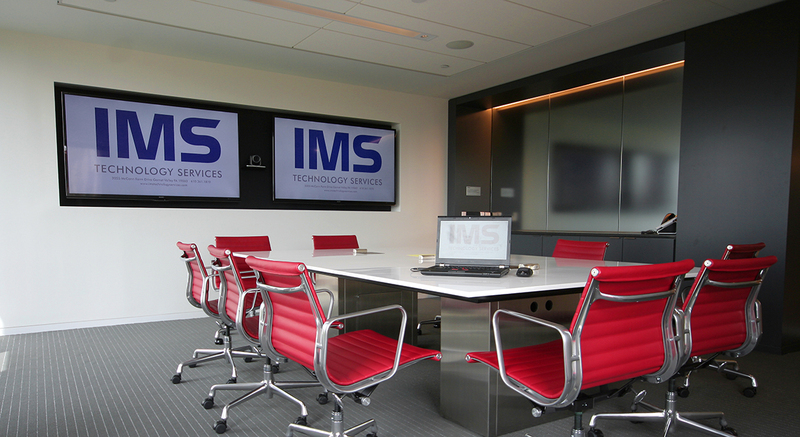 From powerful computer projection and video projection quality and reliable audio to video conferencing systems and easy-to-use wireless controls, IMS has the experience, knowledge and creativity to achieve your goals and exceed your expectations. Design Services: Complete design services for your technology needs, including System Design, Facility Design and RFP Development. Production Services: Our in-house video production and content creation team will maximize your live events, digital signage, web presence or internal communications with an infinite array of interactive and mobile content options. Support and Maintenance: IMS Technology Services offers a world-class service team that is available when system and component failures and glitches occur. Consulting: We specialize in evaluating your existing technology environment and working together to develop a technology roadmap based on your specific needs. Critical Meeting Support: IMS Technology Services offers support for your critical meetings. Staffing Solutions: Our Staffing Solutions team recruits, hires, manages and maintains the professional certifications of industry professionals. Remote Monitoring: With remote access to installed equipment, IMS can resolve a high percentage of issues in minutes instead of hours or even days. 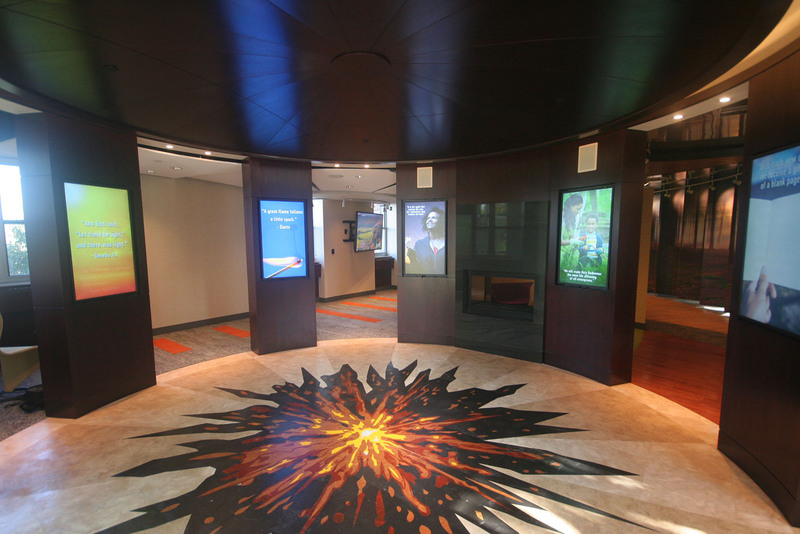 Digital Signage: IMS works with you to ensure your message has that creative edge that sets your message apart. IMS helps clients choose, implement and manage the most effective standards-based unified communications solutions for voice, video, conferencing and collaboration. Unified communications empowers virtual collaboration. It works by collecting and distributing information to stakeholders where they need it – across desktops, smartphones, in the field and throughout the home office – as well as when they need it – live or on demand for later viewing. We achieve this by combining the power of video and audio on top of a secure IT infrastructure. This enables businesses to take full advantage of the best collaborative experiences available. Sharing ideas and information securely and reliably with teams means organizations can react to opportunities and issues quicker, improve productivity, reduce costs, and improve internal processes more effectively. The growing usage of tablets and smartphones supports the trends in collaborative media integration and unified communications. The ability to integrate input from these disparate sources even when they are in the field are essential to achieving realtime leverage in today’s hyper-competitive marketplace. Unified communications delivers the people, the data, the video and voice, and the collaboration that creates actionable insight. IMS can put the power of unified communications in your facilities, your offices, your meeting rooms, your sales offices – even in the palm of your salesforce while they are in the field. Nothing captures customer attention or delivers sales lift more cost effectively than a high-tech, eye-catching, state-of-the-art digital display. These displays can be designed as portable units or as permanent fixtures. Understanding that there are many AV “vendors” in the market, we truly value the partnership IMS brings to the table. You take an advisory approach instead of looking to just “win a project”. We selected IMS for this project because you showed a clear aptitude for the technology, but you have also been responsive, worked with us through many revisions, and your operations team involved my team through every step…IMS has proven to be far more than just a “vendor”. You listened to us thoroughly, and delivered the results you said you would.